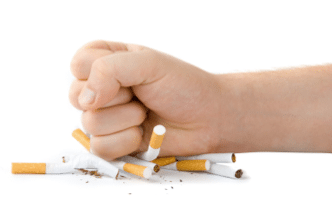 In this article written By Dr. Mona T. Rajeh, she writes about smoking the most dangerous oral habits effecting everyone and its many dangers. Do you smoke? You may not, but you may have friends or family members who do. Smoking is the act of inhaling smoke from burning tobacco in the form of cigarettes, cigars or pipes. People smoke for various reasons, including stress release, entertainment or peer pressure. Tobacco addiction, if not controlled in its early stages, can have severe health consequences, and can even lead to death. Smoking can seriously damage your lungs; it is the leading cause of lung cancer and increases your risk of heart attack. Tobacco smoke also has numerous oral health consequences that can aesthetically deform users or lead to death. These include bad breath, tooth stain, gum disease, tooth loss and oral cancer, as described below. Smoking directly causes bad breath (halitosis). 1 The tobacco contained in pipes and cigars has been found to contain highly concentrated sugars that worsen bad breath in an effort to reduce their bad breath, smokers often use breath fresheners that can lead to dental erosion because of their high levels of sugar and citric acid. 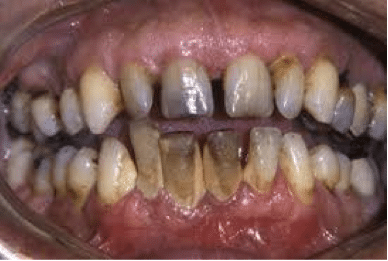 Smoking can cause unattractive yellow stains on teeth, and after years of smoking, they may change to permanent brown stains. These stains can be removed, but only for an added cost, via tooth whitening or veneers. It is better to save your money by not smoking at all. 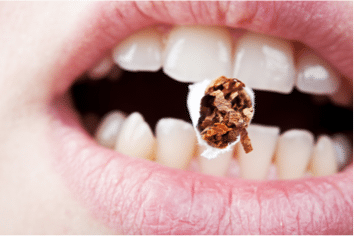 Smoking increases your risk of tooth decay by increasing the formation of dental plaque and tartar on your teeth. Smoking affects how bone and soft tissue attach to your teeth. When gums are separated from the bone, they become more prone to infections and to developing periodontal disease. Smoking also interferes with gum healing because it slows blood flow to the gums. Smokers seem to require gum disease treatments more than non- smokers. Untreated periodontal disease can lead to bone loss in bones that support the teeth and cause tooth loss. Tobacco use has been identified as the main cause of oral cancer, including all cancers of the gut, lips, oral mucosa and oropharynx. A smoker’s risk of contracting cancer is dependent on a number of factors, including the duration and degree of tobacco consumption. Smokeless tobacco users are also at an increased risk of cancers inside the oral cavity. 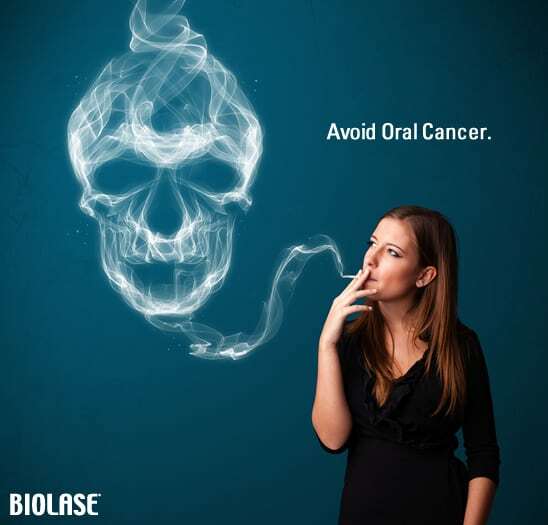 Also, individuals who are exposed to secondhand smoke have an increased risk of contracting oral cancer. Creating public awareness on the effects of smoking can control even the most severe cases of addiction. Dr Anand says that even from 20 minutes of being smoke-free, your health starts to improve – here are the changes minute-by-minute, hour by hour and day by day. After 20 Minutes: Your blood pressure decreases, your heart rate reduces, instantly reducing your risk of a heart attack, and the body temperature of your hands and feet increase, improving your circulation. After 8 Hours “After eight hours the carbon monoxide level in your blood normalises and the oxygen level in your blood increases back to normal,” says Dr Anand. After 48 Hours After 48 hours, your body is nicotine-free: the regeneration of nerves start and your sense of smell and taste improves. Plus, “your chances of having a heart attack decreases significantly,” says Dr Anand. Your breathing will also improve. After 1 Year Your risk of coronary heart disease is reduced by 50 per cent. After 10 Years Your risk of lung cancer is reduced by 50 per cent; and there is a reduced risk of other cancers, including the pancreas, bladder, kidney, mouth, and throat. After 15 Years The risk of heart disease and mortality is the same as a non-smoker. Mecklenburg, R. (2004). Tobacco Effects In The Mouth. Diane Pub Co.
Cappelli, D. & Mobley, C. (2008). Prevention in clinical oral health care. St. Louis, Mo. : Mosby Elsevier. Dr. Mona Talal Rajeh, BDS in 2008 from King Abdul-Aziz University, Awarded in 2013 MS.c Degree in dental science from McGill University, Canada. Currently she is still at McGill University for her PhD in Carniofacial Health. Hobbies include both drawing and Reading. Her main target and goal is to develop new methods and approaches to help prevent oral problems at a community level.